Seed swaps are casual gatherings for home gardeners, micro-farmers, and seed-savers to share gardening tips and exchange seeds. Never saved heirloom seeds before? No problem. We’ll teach you how. 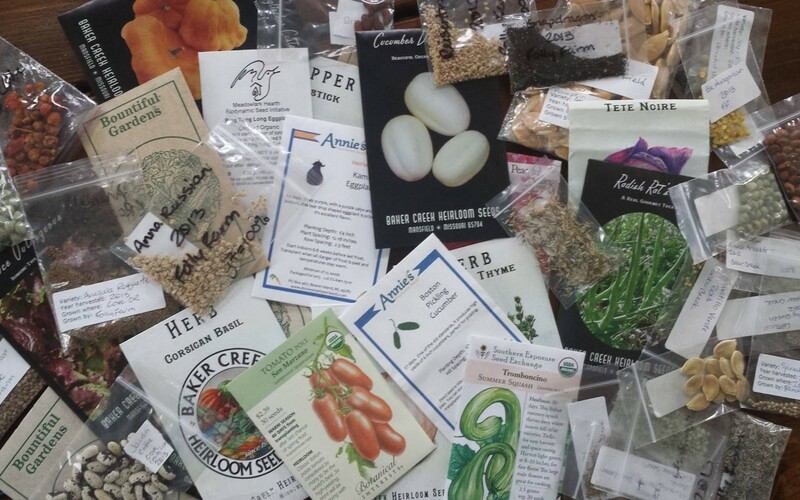 Already saving your heirloom seeds? Bring some along to share with others. Seedlings are welcome, too. Don’t have any heirloom seeds to share? Come get some at the next swap. Would you like to host a seed swap? Want to receive updates and announcements? Send us a message to get on the email list, or Like us on Facebook.